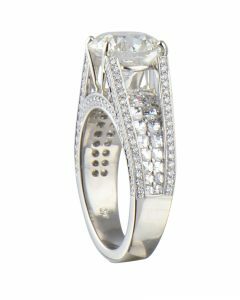 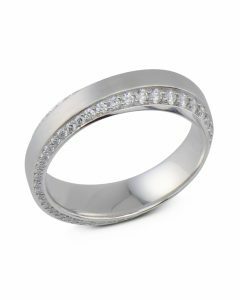 Glamorous diamond halo engagement ring that has an alluring design that makes a dazzling fashion statement. 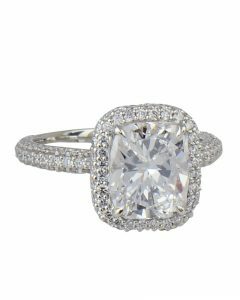 Hand-crafted in precious platinum, this engagement ring features a lavish amount of prong set round brilliant diamonds in the halo and band. 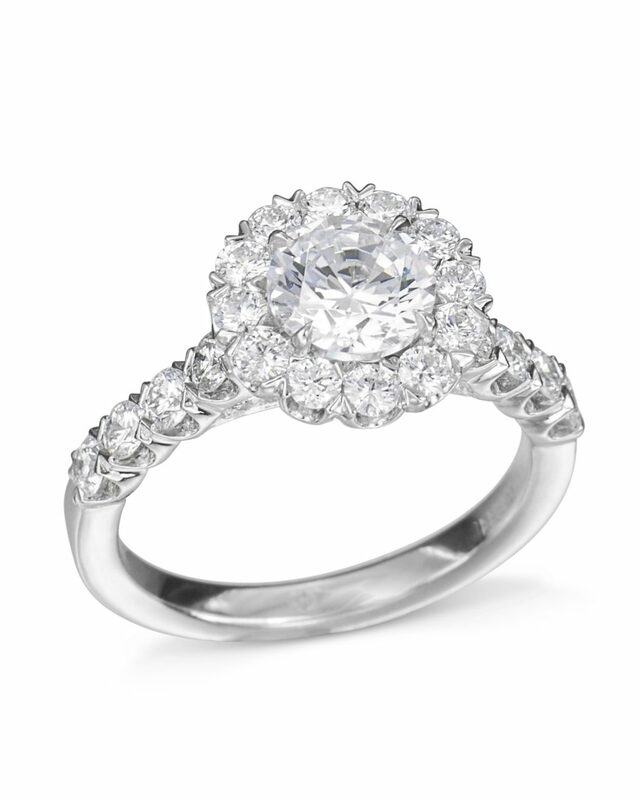 Designed to be fancy and fashion forward, this glamorous diamond halo engagement ring is destined to be loved forever. 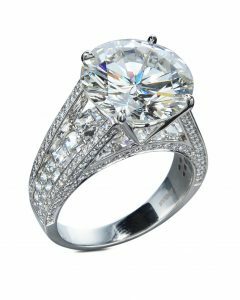 Mounting for a 1.00 carat center.